I’ve been digging through the archives to clear out a lot of old scans to make way for a new batch that should be coming soon! Shot on Fuji Velvia 100. Despite the raw landscape, beautiful place and I like it. Beautiful colors. Gotta love that Velvia. High contrast beautifully created a mood of images. I really like it. That is wonderful! Somehow, you can't beat the look of film. 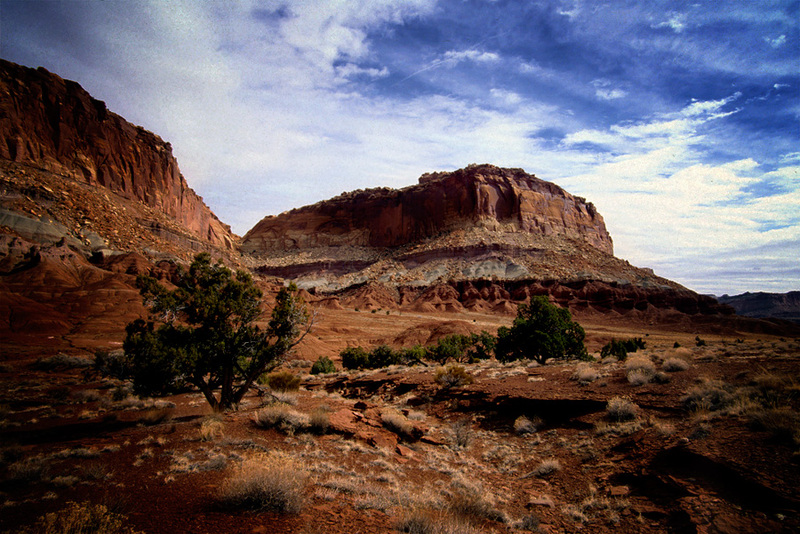 I've been to Capital Reef a couple of times. Really love the area. Lots of great photography possible. This is one. Wonderful landscape with great colors and light! Great landscape, colors and light are excellent.